Are you crazy in love with your business, but not with your outdoor sign? Has this bipolar weather and high Oklahoman winds had a bad effect to your beautiful sign? No need to worry about how you can afford a new one because Blue Diamond Signs has a new contest to help!  Submit a picture of your beat up, discolored, worn out or just plain ugly sign for a chance to win a brand new sign created by Blue Diamond Signs. Enter the “Rustic Diamond Sign Contest” to turn your rustic diamond sign into a polished, eye catching, business bringing, Blue Diamond Sign! No matter how old or new your sign is it is still eligible for the contest! We want to help you transform your Oklahoma business. How do you win? Simple! Get the most likes on your submission. Instructions below. The deadline for submissions is December 1, 2016 @ midnight. Submit picture and contact information through Facebook Messenger to Blue Diamond Signs along with your business name & contact information. Once your photo is submitted on our page, you MUST like and share your photo from Blue Diamond Signs Facebook fanpage. You will then be notified when your image has been posted. Image will be posted after Blue Diamonds Signs Facebook page has been “liked” and shared. The ONLY “likes” that will count are the ones our original post, with your image, receives. Last day to vote is December 15, 2016 @ noon. Winner will be announced December 16, 2016.